Last year, Jen Yates asked people to send her pictures of “cake wrecks.” An Internet phenomenon was born. PLUS, see our gallery of the world’s greatest cake disasters. Cake Wrecks. These two little words turned into an Internet phenomenon for 31-year-old Orlando, Florida, resident Jen Yates, who’s built a following posting pregnancy cakes, poo cakes, and all-around ugly, crazy or simply bizarre cakes on CakeWrecks.com. With categories such as Creepy Cakes, Mithspellings and Oh Poop, the blog serves up cakes for holidays and major life moments you didn’t even know anyone would want to celebrate with cake—like divorce. Cake Wrecks receives up to 60 submissions a day, and regularly gets 100-plus comments which debate whether, in fact, a given cake is supposed to resemble dog vomit or an adjustable gastric band (Yates’s guess? “It's a fetus-with-an-iPod pie!”). Yates is about to go on tour for her book Cake Wrecks: When Professional Cakes Go Hilariously Wrong (Andrews McMeel), released this Friday, featuring some blog favorites and largely new material. As part of the tour, local bakeries are offering up either intentionally made wrecks, or real cakes, and attendees can make their favorite wreck on a cupcake, with prizes given out. Yates’s favorite story behind a wreck is the flash-drive cake. “A customer brought in a picture the bakery was supposed to print out and instead the bakery put a picture of the external hard drive on the cake. It was supposed to be a photo of the boss golfing or something. I love those little miscommunications, even more than the misspellings.” Sometimes the poor customers agree to share their misfortune with Yates, such as the man who bought a Costco fireman cake, only to be stuck thinking, “Am I the only one who sees a giant wang?" 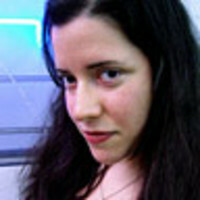 Rachel Kramer Bussel is a New York-based writer and editor, and is the founder and co-editor of Cupcakes Take the Cake.